How Diverse is the Solar System? Each planet in the Solar System has a distinct atmosphere. No two are alike, although some are similar to each other. From the near dead planet of Mercury with its thin chemical compounds delivered from the Sun, to the frozen clouds of Neptune, each is unique. Since humans have been able to send probes to other planets, the investigation into what makes the Solar System tick has been a major priority. Among the major successes like the Voyager missions, there have been failures. However, not to be deterred, exploration continues today with new probes being launched on a regular basis. The closest planet to the Sun, Mercury was thought for decades to simply be a barren landscape with no atmosphere. As of 1974, scientists had gathered together research that disproved this theory in its most basic sense. It seemed Mercury did indeed have a certain volume of material that surrounded the planet. This was confirmed in the Mariner 10 flyby of 1974. This exosphere is composed of a variety of elements and molecules derived from a combination of solar wind, radioactive decay, the impact of micrometeorites and comets and simply debris from the planet's crust. According to evidence gathered from a variety of probes and Earth-based technology, material is essentially 'blown away' into space while new atmospheric properties are established from other sources and held in place by the magnetic field and gravity. Scientists believe that at one time Mercury had a fully established atmosphere, but it escaped as the planet approached the Sun. Due to the fact that Mercury only has a thin atmosphere, it has no weather patterns. The only real environmental changes that occur on the surface of the planet are caused by the impact of celestial objects. These are responsible for much of the changes within Mercury's exosphere. For example, scientists believe that impacts from comets over the years left traces of water scattered around the planet. Mercury's temperatures are some of the most varied in the Solar System. During the day, temps can reach 801º Fahrenheit (427.2º Celsius), while they dip down to -279º F (172.3º C) during the night. The planet Mercury is startlingly alike to our own Moon. It is covered in pot marks from thousands upon thousands of meteorite hits. In addition, with barely atmosphere to speak of, it is exposed to the elements of space with little influence by storms and other weather patterns. This allows us the opportunity to gauge the history of the solar system. 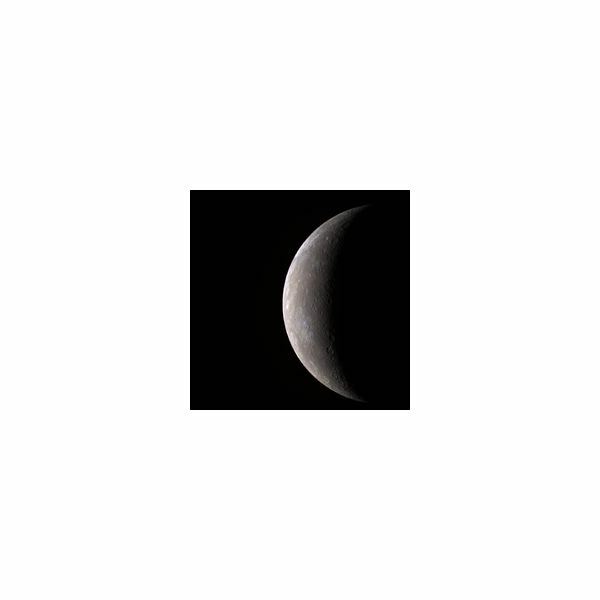 Currently, Mercury is being investigated by the NASA probe MESSENGER. 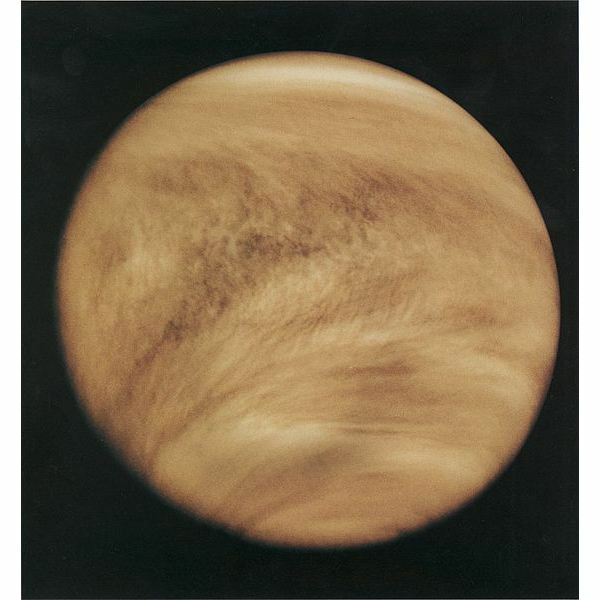 The atmosphere of Venus is known for its intense heat. According to research, it appears that the temperature at the surface is 872°F (467°C), but nearly the same as Earth's at an altitude of 31 miles (50 km). The pressure is also much more than that of Earth, a planet of similar size, at 93 bar. Another interesting factor about the atmosphere is the fact that it is almost exclusively carbon dioxide and nitrogen with only a few other trace compounds. One of the most active planets in the Solar System, it has very high wind speeds in its upper atmosphere, resulting in very harsh storms. The wind speed in the atmosphere is so high that it only takes four days for the air to make a full circuit. This is almost 60 times as fast as Earth. The most intense storms are located at each of the planet's poles. These anticyclones are shaped in S-patterns with a pair of eyes, much like two hurricanes working in concert. Space organizations like NASA and JAXA see the importance of researching Venus, despite the fact that few missions have been conducted in the past few decades. Scientists estimate that the planet likely had a similar atmosphere to that of Earth approximately four billion years ago. Evidence shows that Venus changed over the years due to the greenhouse effect getting out of hand. Essentially, the heat accumulated by the Sun's rays stayed in the atmosphere at too high of levels, causing the planet to become a hot box. JAXA recently sent a probe, Akatsuki, to orbit the planet. However, it missed its opportunity to enter orbit. The orbiter was shut down and awaits its next chance in 2016. In addition, both NASA and the ESA are planning probes of their own in the near future. Obviously, we know more about the atmosphere of our home planet than any other in the Solar System. Researching not only from our own surface, but in the atmosphere itself and above, using satellites pointed back toward the planet, we are able to assess the properties of the different layers and witness in real-time any dynamics such as storms or pressure changes. Earth's different gases are essential to keeping life going on the planet. They supply the necessary support for life's respiratory systems, protect us from ultraviolet solar radiation and helps regulate the temperature to ideal levels for life. Most notably, the atmosphere is responsible for the greenhouse effect. This is the process by which the heat from the Sun is captured by the atmosphere, keeping the planet sustainably warm. The first section is known as the troposphere, up to roughly 12.4 miles (20 km) from the surface. The troposphere garners its heat from the surface, meaning its warmer the closer one is positioned to the Earth's crust and cooler as one rises. This portion holds 80% of the atmosphere's mass. 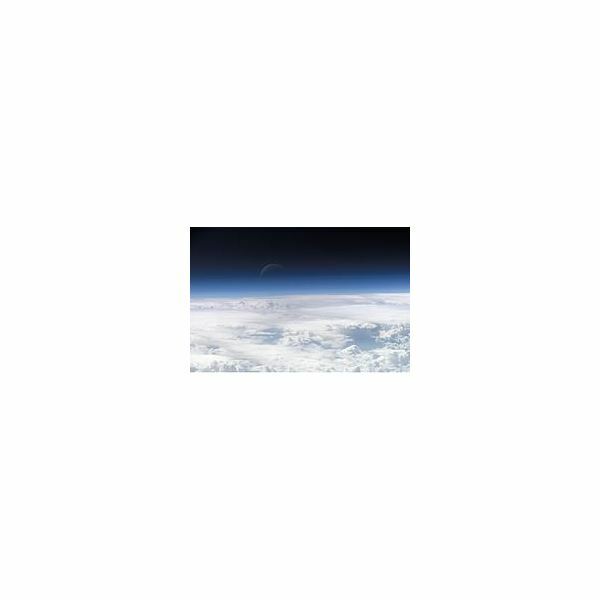 Extending past the troposphere to a height of 32 miles (51 km) is the stratosphere. At its beginning, the temperature ranges around -76°F (-60°C). However, ultraviolet radiation is plentiful in this section, raising the temperature to near freezing at its peak. The mesosphere is the next section of Earth's atmosphere, extending to roughly 53 miles (85 km). In this area, temperatures range from -120°F to -150°F (-85°C to -100°C). It is common for ice clouds to form from the water vapor and it can also exhibit lightning. This section is also responsible for the majority of protection of the Earth's surface from meteors, burning most of them up as they enter the atmosphere. Finally reaching the levels of low Earth orbit is the thermosphere. This is a section with low density molecules and extremely high temperatures. It reaches temperatures of 2,700 F (1500 C) and heights of 220–500 miles (350–800 km). Much of the initial radiation from the Sun is absorbed here. The thermosphere accounts for the majority of the planet's atmosphere and also is the location of standard spacecraft flight and the home of the International Space Station. The final section of Earth's atmosphere is the exosphere. Mainly composed of helium and hydrogen, this part features molecules and elements that come and go with the solar wind. Earth's atmosphere is fairly volatile compared to others in the Solar System. It features water rainfall, high velocity winds and phenomena such as hurricanes, tornadoes and blizzards. Research into other atmospheres helps us understand the causes behind such events and how they may increase or decrease in severity. Despite its location in the Solar System and similarities to Earth, Mars has a very thin atmosphere made primarily from carbon dioxide. Composed of many layers similar to Earth, it reaches up to 120 miles (200 km). Unlike Earth, however, the atmosphere is filled with large quantities of dust, giving the planet a reddish hue. Temperatures on the surface average around -82°F (-63°C) and increase with distance to the exosphere. 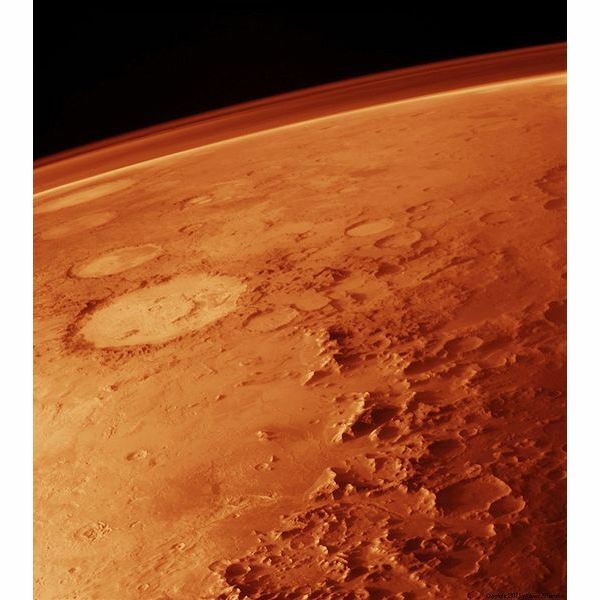 It is believed that Mars originally had a much more hardy atmosphere, possibly a few billion years ago. This ties into the fact that scientists believe the planet was home to oceans at this same time. Today, the atmosphere is home to strong winds that kick up much of the dust on the surface. It also is heavily influenced by geothermic events, believed to provide the planet with its large volume of methane. There is even evidence to support volcanic activity, influencing the contents of the atmosphere as well. Mars is by far the most researched planet outside of the Earth itself in the Solar System. There are currently a number of missions operating on the surface and in orbit, along with many waiting in the wings or about to be launched. NASA and other space organizations are curious about the atmosphere due to its relation to Earth's and the fact that it contains so much carbon dioxide. It is believe that this material could be used to make rocket fuel on the planet, aiding explorers on a return trip back to Earth. The largest atmosphere in the Solar System, Jupiter has a complex layered grouping primarily composed of hydrogen and helium with a few other trace materials. 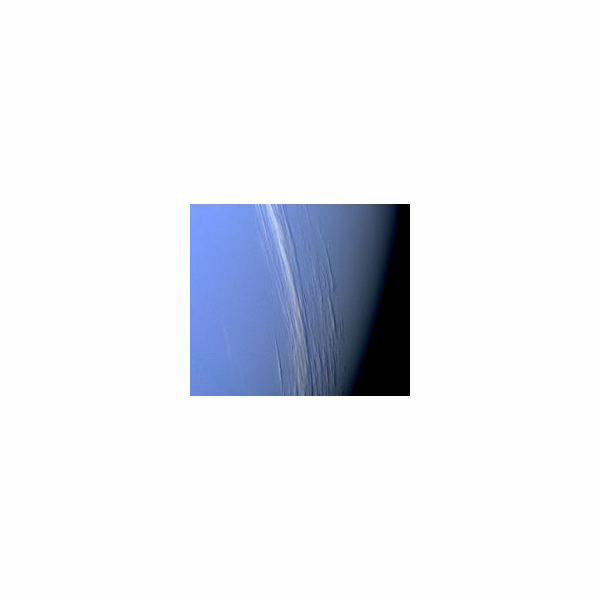 Its first layer, the troposphere, is made mostly of ammonia and water and forms a series of hazy clouds. Each successive layer continually decreases in temperature, ultimately forming a series of banding which can be seen from outside the planet. The darker the band, the warmer the temperature. It is estimated that temperatures reach 17,492°F (9,700°C), while at the tips of the clouds the temp is only -229°F (-145°C). The unique facet of these bands is that scientists are unsure of which level of the atmosphere in which they begin. There are two paths of thought: the shallow model and the deep model. The shallow model states that these bands are simply present on the outermost layer of the planet, seen from probes and telescopes. The deep model, on the other hand, states that the layers begin at the surface of the planet and continue upward. Within the Jovian atmosphere, there is a plethora of activity. Evidence shows that megastorms, lightning and cyclones are commonplace. 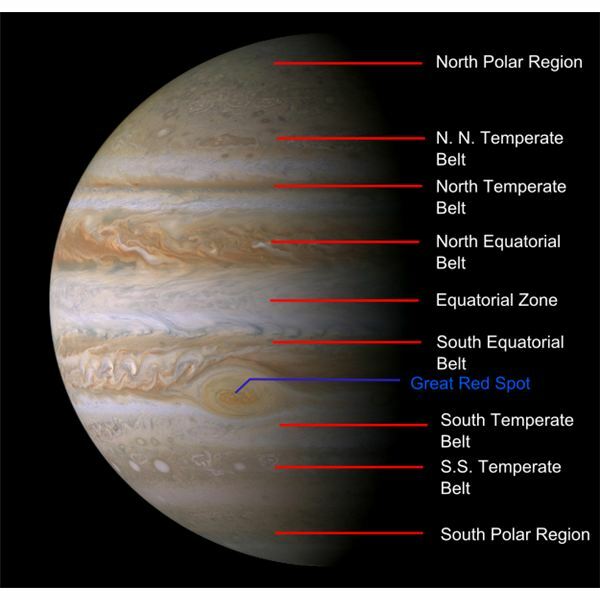 Most notable is the Great Red Spot, an anticyclone in the southern hemisphere. This spot has been storming for at least 300 years and was recently joined by a couple smaller red spots made up of merged white spots. Although the vast majority of Saturn's atmosphere is composed of hydrogen, there are additional molecules which make up the abundance of clouds. The upper portion of the atmosphere is generally made of crystallized ammonia, while the lower feature's clouds are made of ammonium hydrosulfide and water. What makes Saturn's atmosphere particularly unique compared to the other gas giants is the fact that it has a relatively small quantity of helium. Like Jupiter, Saturn possesses a series of bands that dominate the visual appearance of the atmosphere. These bands are beneficial for showing visual evidence of storms among the puffy clouds. Every 30 years, these bands are interrupted by what scientists refer to as the 'Great White Spot'. This is believed to be a storm of such magnitude that it is seen from Earth with even minor telescopes. It was last seen in 1990, with 2020 scheduled to be the next event. Saturn also has a series of storms in its southern hemisphere commonly called 'Storm Alley'. Finally, perhaps the largest example of storms on the planet is a large polar storm roughly 5,000 miles (8,000 km) wide . It appears to be a hurricane, complete with an eye. Saturn is very frigid and features lightning storms approximately one million times more powerful than those on Earth. Temperatures range from 21,092°F (11,700°C) at the core to -268°F (-150°C) at the cloud tips. 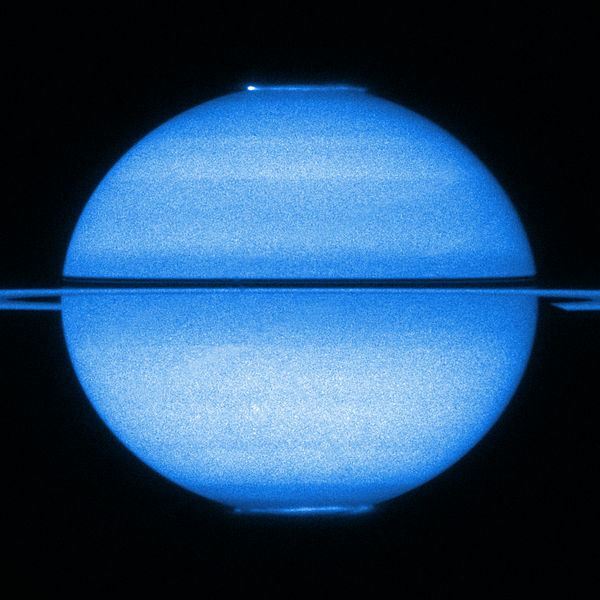 It is believed that Saturn has no surface, making determining where the atmosphere begins and ends a challenge. Continued missions to Saturn are of utmost importance to space programs. It's sophisticated weather patterns are opportunities for us to learn more about the physics of storms. In addition, Saturn offers some of the earliest data available about the Solar System. Presently, the Cassini probe is studying Saturn and its moons. 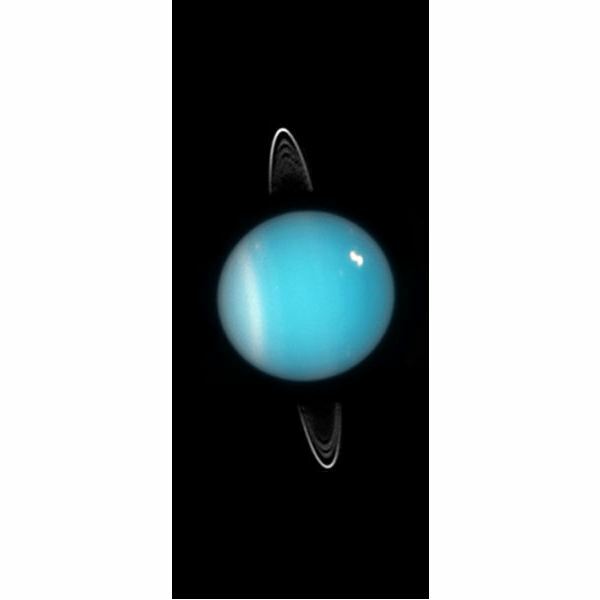 Similar to the other gas giants, Uranus is primarily composed of hydrogen and helium. It also contains countless amounts of ice made from ammonia, methane and water. This is primarily found in the lower atmosphere due to its higher temperature. The reverse is true for the upper atmosphere, which holds mostly the lightweight gases. These only reach temps of 371°F (-224°C). Although there has only been a single spacecraft to visit the planet, Voyager 2 in 1986, the information gathered from that single observation has proven highly knowledgeable. Uranus is divided into three distinct layers within its atmosphere. The troposphere is the lowest, sporting cloud layers of methane, water, hydrogen sulfide, ammonia and ammonium hydrosulfide. The temperature increases dramatically in the stratosphere, rising from -428°F to 171°F (-220°C to 77°C). It also features strong winds and trace elements of carbon monoxide and carbon dioxide. The final layer, the thermosphere, maintains a high temperature similar to the edge of the stratosphere. How this occurs is unknown, but there are high levels of UV radiation in the region. Overall, the wind speed in the Uranus atmosphere reach up to speeds of 240 miles per hour (386 kph). Known primarily for its potential oceans and distance from the Sun, Neptune is full of major storms, the likes of which we never see here on Earth. However, unlike the rain storms we have on our planet, Neptune's storms are made from clouds of frozen methane. These clouds rotate around the planet at incredible speeds. Similar to Jupiter's Great Red Spot, Neptune's Great Dark Spot was a giant storm that encompasses a huge section of the planet's southern hemisphere. First spotted by Voyager 2, it is a series of anticyclonic storms, flowing in a direction contrary to expected patterns. Unlike Jupiter, however, the Great Dark Spot disappeared a few years later when the Hubble Space Telescope viewed the planet. According to investigations from NASA and other organizations, Neptune is one of the most volatile planets in the Solar System. Within its hydrogen and helium atmosphere, countless megastorms spring up in an instant. In 1989 the Voyager 2 probe performed a flyby on its way to the edge of the Solar System. During its observations, it charted winds reaching in excess of 600 miles per hour (965 km). These winds typically flow in the opposite direction of the planet's rotation. Neptune has a very interesting environment, of which the atmosphere is merely the final layer. Despite its distance from the Sun, the engine of heat within its outer cloud layer keeps the planet very hot. Its superheated core reaches approximately 9302°F (5150°C). This is covered by a vast ocean, which most scientists believe is made of water. It is estimated that the temperature of the water reaches many times that of the boiling point, but it does not evaporate due to the extremely high pressures of the atmosphere. This intense heat is reversed at the peaks of the atmospheric cloud cover. According to NASA research, Neptune's atmosphere reaches as low as -364°F (-220°C) at cloud top. Neptune is one of the few planets with some sort of oceanic cover. There is no telling what exists within its confines. Since the atmosphere is so chaotic with storms, scientists are able to study its causes and effects. By researching these phenomena on such a large scale, we may be better capable of understanding why damaging storms on Earth develop and one day possibly know how to prevent them. Currently there are no spacecraft researching Neptune. The last major investigation was by Voyager 2 during a flyby in 1989. As we continue exploring the Solar System, planetary atmospheres continue to be one of the most important aspects of space research. They can teach us a bounty of information about our own atmosphere. We can learn how to take care of it and why things happen the way they do. Going forward humans will continue to explore these planets, some with success, some without. Either way, the diversity of the atmospheres will continue to provide us with new ideas and platforms from which one day we may even terraform another planet in the Solar System.